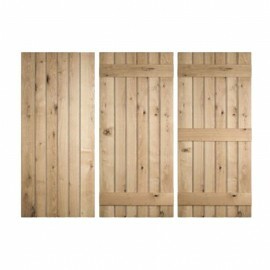 These Ledge Oak Doors are the perfect choice if you are looking to add a traditional look to your home. These doors evoke quality; handmade with solid oak the design features vertical planks and 3 horizontal ledges ensuring it not only looks beautiful but it is also robust and hard wearing. The solid Oak ledged door adds character to your home by providing an authentic look and feel. These doors are tough and reliable, a great looking solid oak door. 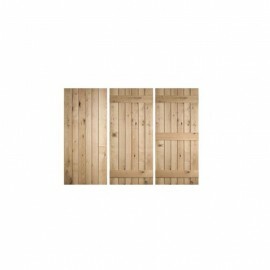 We are offering a range of ledge oak doors to fit any of your requirements. Whatever you wish to use the door for, we have an option for everything, ensuring that you have the right door to fulfil your needs. For more information, speak to our team on 01536 267107.